Great cabin close to Bethel and Sunday River. Beautiful views from every window. Cabin was very clean and well equipped. Hot tub was a nice treat after skiing all day. Beautiful house with a well stocked kitchen, plenty of open space, and everything we needed for a family ski trip. This house is great for a couple of families. I loved the open floor plan and then the game room downstairs gives a place for everyone. The real fireplace was fabulous! What I did not like about the house was the feeling no one has EVER lived in it to experience it from a guest perspective. For example, there are no bedside table lamps or bedside tables for both sides of the bed (seriously $20 at Job Lot?). It is minimally decorated, and there is only shuffleboard, so bring some games. There are no HOOKS ANYWHERE for your towels. It was extremely annoying with all of the extra towels from the hot tub. Even just some in the game room right beside the door to the hot tub ($2 a hook) would work. Also, this is a true rental, there is NOTHING left behind regarding condiments ( just salt and pepper). So you need to bring everything from sugar to sandwich bags. The other information renters need to know, 4 wheel drive is recommended to get up the hill in a heavy snow. Our friends had 2 wheel drive and they got stuck in a snow bank and then needed to park at the bottom of the hill. We enjoyed our stay but would have appreciated if the house had more thought put into it. As amazing as the photographs! Stayed for a ski vacation with friends and family. 10 people including kids of varying ages. Plenary of room for all! Top of the line appliances, very clean and comfortable! Had the number of the property manager that addressed all questions very quickly! Never had a worry!! It snowed 6” while we were there. A plow driver came to get us plowed out. Zero issues! Thank you so much, will be back for sure!!! Hot tub was a huge hit!! Joyce is a pleasure to rent from; attentive to details and quick to respond to issues. The home is about 15-20 minutes to Sunday River located in a quiet part of town and provides ample seclusion. The photographs don't do justice to the superb views of the mountains and valley. 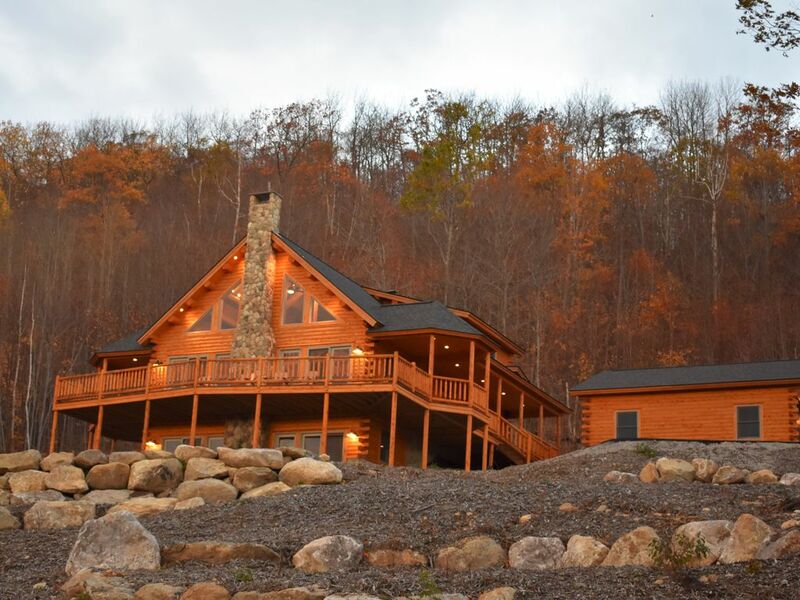 Overall the home is fantastic for a group or family ski trip. The beds are comfortable, the washer and dryer an added convenience and the basement room with vaulted ceilings, bar and shuffleboard table is a great place to unwind. The heated garage made storage for winter sports equipment easy. Check-in/key pick up was simple and check out was a breeze. I recommend this rental without reservation and look forward to our return trip. Awesome views from the hot tub, great shuffle board, & a stuffed alligator. 20-25 min from Sunday River. Remote location.